There are many articles out there about improving communication and being an effective communicator, but do they really tackle the root of the problem? What if you’re facing issues that you didn’t even know existed? Communication may not be too much of an issue for small businesses, but that doesn’t mean small businesses can’t experience communication barriers, or that they shouldn't start implementing preventative measures for future expansion. The ability to identify and tackle communication barriers can result in improved working conditions, sales, and overall corporate culture. That’s why any business that employs multiple people needs to have a solid communication plan in place to help ideas grow and allow the company to innovate. 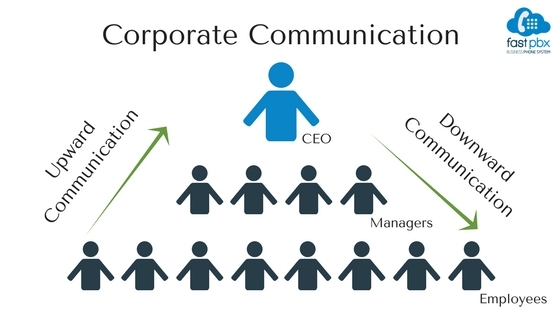 In any company with levels of hierarchy, there is likely a flow of upward and downward communication. This is the flow of communication to and from employees, supervisors, managers, and directors. Unfortunately, many businesses see a breakdown in their communication process, either due to physical barriers, language barriers, or other barriers that may affect how a message is interpreted. How can you tell if communication within your business is weakening? Maybe there are projects that are slow to start (or finish), some individuals are left out of the loop and cannot collaborate as a result, or information is being filtered because it’s seen as unnecessary. These are just a few symptoms of weakening corporate communications; if you are already experiencing similar issues, you can still recover and create a more seamless flow of communication. If you haven’t experienced this (or paid much attention to your communication strategy) yet, make it part of your long-term growth strategy to improve your processes and avoid any future barriers. This goes especially for small businesses who are still building their teams and developing internal processes. Alleviate these possible limitations with a consistent flow of relevant information, establishing the tools and procedures to ensure that everyone remains on the same page. You can also create opportunities for employees and managers to meet regularly if face-to-face is a more effective approach. Communication barriers aren’t always plain as day. They can be present in the form of physical, cultural, emotional, even the method of delivery- which can result in inaction, misinterpretation, bad work relationships, and lack of knowledge. If you’re feeling like there might be gaps in your communications that are hindering your progress, you may want to consider auditing your communication channels and processes to ensure that the flow of information is as smooth as possible for all parties. What are some ways you can start breaking down communication barriers? As a business phone service provider, we understand that communication (both internal and external) can have a huge impact on your ability to grow and succeed. Communication methods that work between employees and customers can be a great starting point for optimizing your internal communication. That’s where a reliable call management system comes in. Efficient call management means you can keep employees across departments and locations connected, access relevant data for higher-level individuals, and use available features to engage both employees and managers (like voicemail to email and extension dialing). When you’re building an empire, it’s easy to get laser focused on the bigger picture, but you must remember the crucial pieces that make it all work. Meaningful communication and a steady flow of accurate information can make or break your progress. Make some time to perfect this significant part of your business and you’ll see that it’s the difference between stagnation and success.